Hard work? Yes. Yet, the camaraderie and the satisfaction is always worth it. We are looking for motivated hikers, cyclists, and equestrian riders who wish to give back to the community. 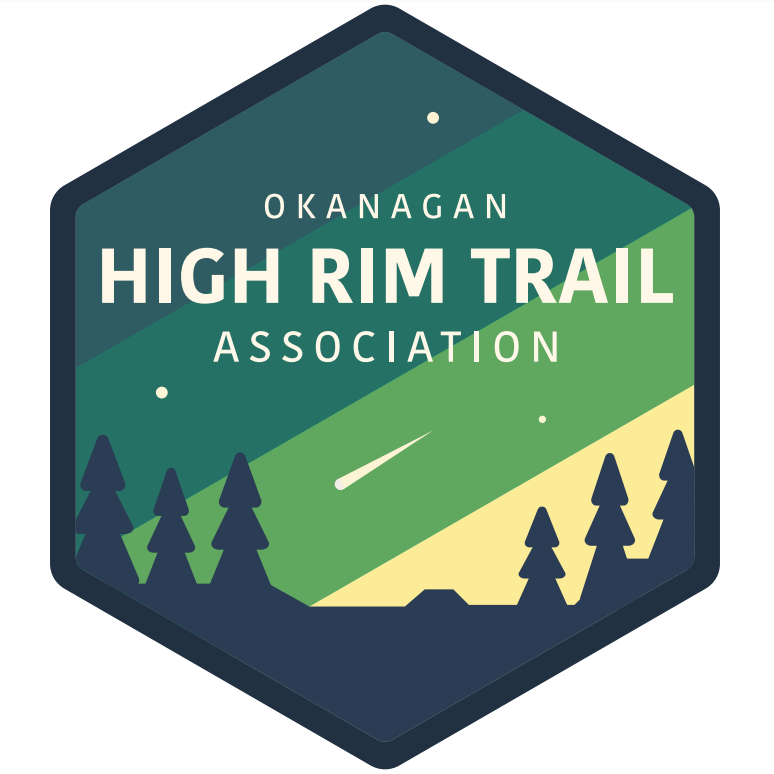 If you are looking to get involved, you can become a member of the OHRTA (Okanagan High Rim Trail Association). Annual memberships are a donation of $25 each. Once you subscribe you will receive a High Rim Trail logo bumper sticker and login credentials to the membership area of the website. Trail work can be a dangerous activity. Your donation ensures we help provide every opportunity for maximum safety while keeping the trail up to date! This option uses PayPal. A world wide recognized safe oftion to receive or give currency online. This option will allow you to quickly open a PayPal account and will ask for a credit card to pay the $25 annual fee. The annual fee of $25 will be charged to your card after you become a member and in 12 months will be charged again. A reminder will be sent out to you before the fee is charged to your credit card. You can cancel the fee at any time by using this Unsubscribe option. Work party details are posted on our Facebook Group, and meetings are held regularly. Looking forward to meeting you. This form is for non-members who want to donate but do not have a membership. To become a member, please see the membership option below.